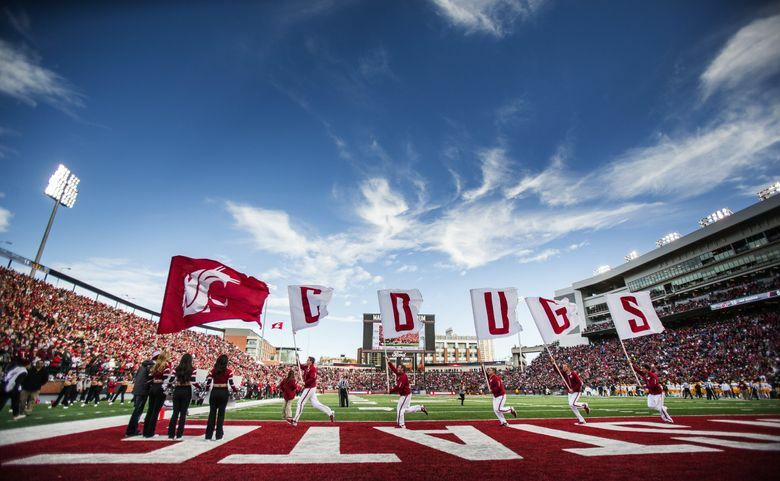 WSU gets a commitment from Florida receiver Calvin Jackson Jr.
Washington State picked up the pledge of another Florida skill player Wednesday afternoon when Calvin Jackson Jr., a Pompano Beach, Fla. native, committed to the Cougars via a Twitter announcement. Jackson Jr. (5-foot-10, 170 pounds) originally signed with Toledo in February 2016 out of Coral Springs Charter School, where he was recruited by new WSU inside receivers coach Derek Sage, who was an assistant at Toledo at the time. But due to academics, Jackson never enrolled at Toledo and ended up having to go the junior college route. He played at Independence (Kans.) Community College last season, where he appeared in nine games and finished with 649 receiving yards and five touchdowns. Even though he had to play in Kansas last year, Jackson Jr. kept in touch with Sage, and the Cougars offered Jackson a scholarship in February. Jackson was part of the Coral Springs Charter School team that went 11-0 in 2015, and he came out of high school with offers from Temple, Iowa State, Toledo and Akron. He’s the son of former Auburn defensive back Calvin Jackson, who also had a brief stint with the Miami Dolphins in 1994. Jackson Jr. played wide receiver and free safety in high school and finished his senior season as a first-team all-state selection, with 897 receiving yards and 19 touchdowns on 51 receptions, while also tallying 1,330 all-purpose yards as punt and kick returner. “Wazzu = Air Raid. Who doesn’t wanna play in the Pac-12 with Coach Sage as a wide receivers coach?” Jackson Jr. said in a text message to The Seattle Times Wednesday afternoon. Jackson Jr. joins a growing list of Florida-born skill players willing to move across the country to play in Mike Leach’s Air Raid. Running back Keith Harrington, defensive backs Deion Singleton and Zaire Webb, receivers Tavares Martin Jr., Isaiah Johnson-Mack, Kyrin Priester and Anthony White are all from Florida. And another Floridian, receiver Travell Harris, signed with WSU in February and will join the Cougars this summer. Jackson Jr. is the third 2018 recruit to commit to WSU this offseason. The others are linebackers Tyree Wilson from West Rusk High in New London, Texas, and four-star prospect Victor Terry, from Augustus Hawkins High in Los Angeles.